Grungy approach has become a trend in design community, so here is the ultimate collection of really nice and high quality grunge Photoshop brushes. 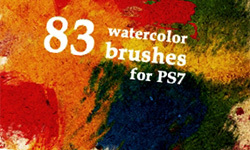 We really hope these brushes will help you in your design project. So play with these Photoshop brushes and bring your creativity to design community.